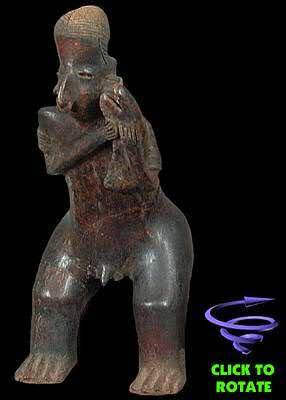 A Nayarit standing figure of a man playing on a gourd rasp. Burnished brownish-black clay with hollow body. Page 136, Plate 175. Harry N. Abrams, New York, 1968.